WALK-IN REGISTRATION WELCOME AT THE DOOR; Lunch will not be available. Nature Hacks: Five Remarkably Effective Strategies for a More Resilient, Beautiful, Ecologically Abundant Landscape. Plants naturally interact, but much of traditional horticulture is aimed at fighting these interactions rather than working with them. This lecture looks at five different ecological principles to distill useful tactics for the designer to use in creating more functional, lower input planting. 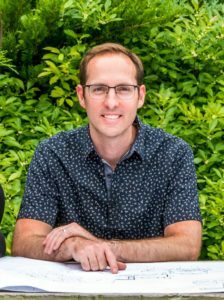 Join landscape architect and writer Thomas Rainer to explore the new hybrid of horticulture and ecology that results in more resilient, biodiverse landscapes. 11:00 am-Noon – Green Works/VNLA Business Meeting – includes presentation of Awards. 1:00 – 2:00 pm – Green Works/VNLA Industry Award Winners Presentation of Projects. The winners of the 2017 Industry Awards Program will present their winning entries complete with a description of their project and photos. Pests & Diseases – What to Know for 2018 with Ann Hazelrigg, UVM. Ann will speak about pests and diseases you will want to keep an eye out for this upcoming season. Ann’s presentation will include learning how to identify what crosses your path as well as leaving time for Q&A on problems encountered in the landscape and how to best deal with them. (Earns one pesticide credit). Getting Down to Business Roundtable Returns – Part One and Two! Back again! This now 3rd annual event, returns thanks to the continued interest and enthusiasm of past participants! Join facilitator and Green Works/VNLA board member Ashley Robinson for a two-hour/two part discussion centered around the shared experiences of our industry. The first hour participants will divide into groups according to business type: growers, retail businesses; and landscape designers/contractors. This will be an open format discussion so bring along your questions, ideas, thoughts on what keeps you up at night, as well as sharing the rewards of being in this industry. The second hour the entire group will come together to compare notes as well as have a broader conversation on what it means to be working in the green industry today and how to not only survive but thrive as well! We look forward to carrying on great conversations, getting inspired and encouraged for the 2018 season ahead! Getting Down to Business Roundtable Returns – Part Two! Please see the description above. Native Plants, a Plant Grower’s Perspective with Peter van Berkum co-owner of van Berkum Nursery, Deerfield, NH. Join Peter as he discusses the challenges of growing and marketing native plants. Interest in growing natives and pollinator plants is all the buzz as well as the on-going debate on the ecological value of “nativars”. This subject will continue to be a hot topic for all involved in planting and growing plants. BRUSH UP ON YOUR LATIN FOR THE ANNUAL ID CONTEST! A parking permit and information will be emailed to you one week before the meeting. Parking will be @ Gutterson Garage. Thomas Rainer is a registered landscape architect, teacher, and author living in Arlington, Virginia. Thomas, a leading voice in ecological landscape design, has designed landscapes for the U.S. Capitol grounds, the Martin Luther King, Jr. Memorial, and The New York Botanical Garden, as well as over 100 gardens from Maine to Florida. His work has been featured in numerous publications, including The New York Times, Landscape Architecture Magazine, The Washington Post, The Chicago Tribune, and Architectural Digest. He is a celebrated public speaker who has garnered acclaim for his passionate presentations to audiences across the U.S. and in Europe. 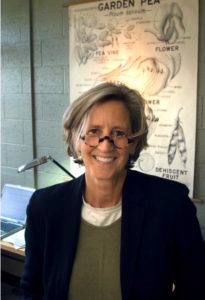 Thomas serves as a Principal for the landscape architectural and consulting firm Phyto Studio in Washington, D.C.
Ann Hazelrigg is a plant pathologist and runs the Plant Diagnostic Clinic at UVM. 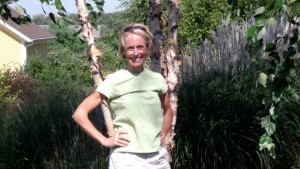 Her extension position also includes research, pesticide and IPM education and oversight of the Master Gardener program. She has been at UVM for over 35 years and still learns something new every season! Ashley Robinson was educated at the Landscape Institute in Cambridge MA, and worked for a renowned landscape architect, in MA. Ashley has managed several retail flower & garden shops, then moved to Vermont 10 years ago to start her own landscape design business. Ashley has been on the Green Works/VNLA Board of Directors for three years. Peter van Berkum got his B.S from UNH in Plant Science (now referred to as Environmental Horticulture). Since then, before starting Van Berkum Nursery, he studied horticulture in the Netherlands for a year, both taking classes and doing practical studies at numerous different growing operations. He has also worked at a number of nurseries in the US, including Pine Knoll Farm in Gig Harbor Washington, White’s Greenhouses in York, Maine, and lastly, Lake Street Garden Center in Salem, New Hampshire, where he ended up as head grower. He served on the board of directors and as president of the New Hampshire Plant Growers Association. He was also co-founder (and current co-chair) of the New Hampshire Horticulture Endowment, which has raised over $180,000 and grants money annually for research in New Hampshire horticulture. 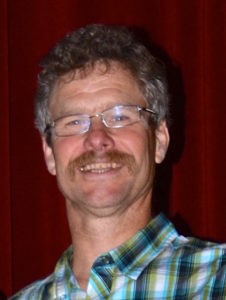 Outside of his professional life, Peter enjoys his family, playing music, reading, studying wildflowers and most of all spending time in the outdoors. VCH Exam Registration is below.